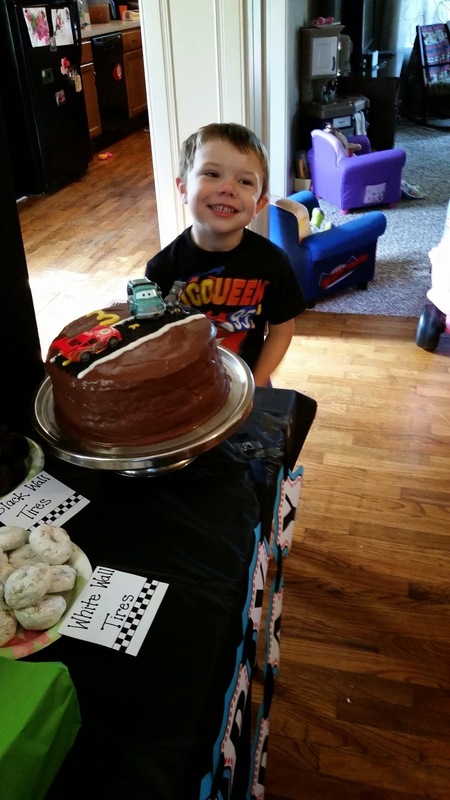 Last week we celebrated my grandson Brody's 3rd birthday--such a special day for this blessed boy! I don't know about you, but grandchildren are part of what makes getting older all worth it for me! Brody is in love with all things to do with "Cars"and "Planes." So when I saw this card that Heather Summers' mom created I knew I had to CASE it. There weren't any directions with the card so I had to improvise, but I'm so thankful for the idea (see it here) and was pleased with how it turned out! Happy Belated Birthday to Brody.